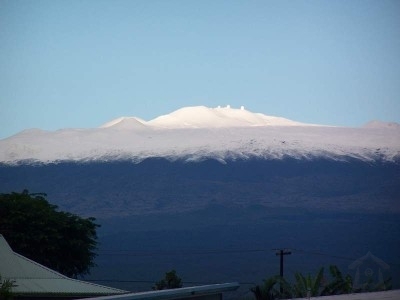 Location: Big Island, Kea\'au, Hawaii (Close to Hilo). 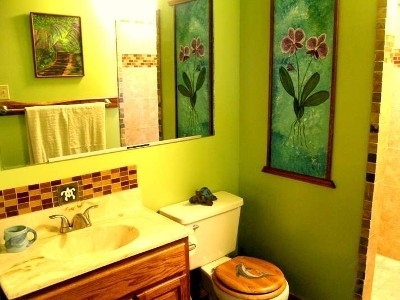 Accommodations: 1-Bedroom Apartments, 3 Bedroom/2 Bath house. 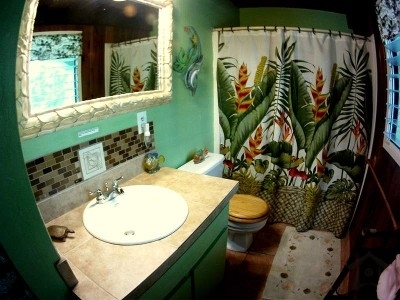 Our beautiful 3 BR house rentals one acre lush tropical paradise is located near Hilo and close to Keaau and Pahoa Villages. 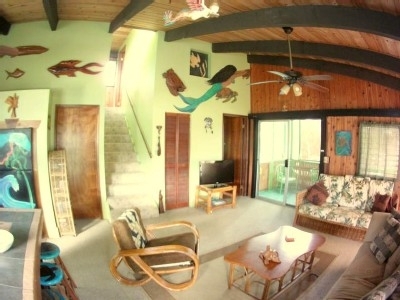 Our holiday home is unique and artsy, with Polynesian decor, looking out at coconut palms, banana, guava, mango, avocado, papaya and tropical flowers. 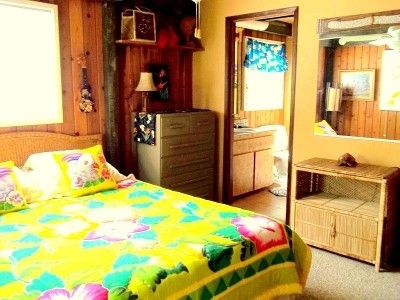 The vacation rental house can accommodate a one or three bedroom space. 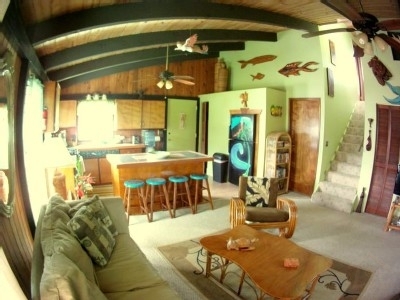 A piece of paradise to call home while you are on the Big Island. Go to sleep with frogs chirping and stars so bright you could almost touch them. 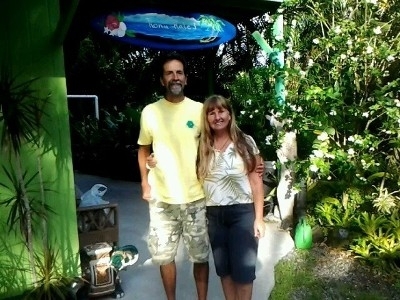 Wake up to birds singing and complimentary Hawaiian coffee and sugar. Pamper yourself, bath in our collected rainwater. Indoor Smoke free! Sorry no Pets! 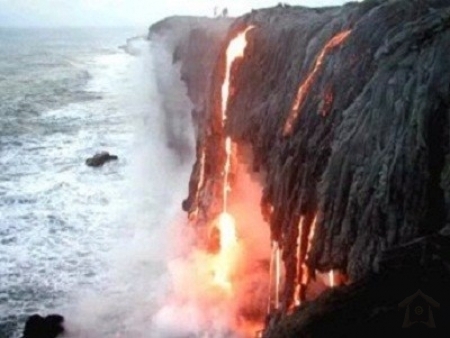 See the world\'s most active volcano, Kilauea. 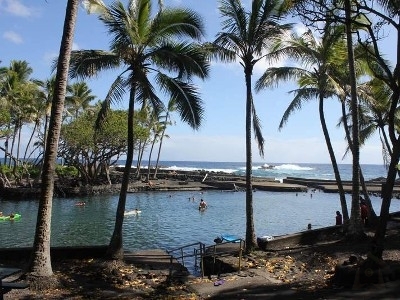 Swim with the sea turtles or dip into the hot pond heated by the volcano. 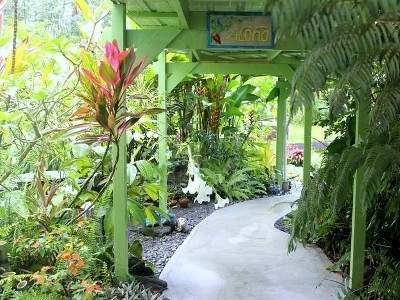 Botanical gardens, rainforest, waterfalls and desert are all part of our unique landscape. Visit our two interesting local farmers markets on Wednesday, Saturday and Sunday, where you can get fresh produce, local hand-crafted items, yummy ethnic foods and experience the local flavor. Personal checks to secure lodging (2 week clearing prior to occupancy). Tax 13.42%. Ask about monthly rates.